Míriam Forasté played until the 2002/03 season for Lluisos de Gràcia and then moved to UB Barça with whom she was U14 Catalan Champion and Bronze Medalist in the U14 Spanish Championship during the 2004/05 season. Miriam also played the U14 Spanish Championship with the Catalan Team, finishing in third position. In the 2005/06 season, Miriam Forasté was U16 Catalan Championship Finalist and won the Bronze Medal in the U16 Spanish Championship. One year later, Miriam Forasté won the U16 Catalan Championship (being the best scorer) and won one more Bronze Medal with the Catalan Team in the U16 Spanish Championship. Miriam Forasté played for Sarrià during the 2007/08 season and she had a successful year in which she won the Silver Medal in the U18 Catalan Championship and in the U18 Spanish Championship. In the 2008/09 season, Miriam Forasté won one more Silver Medal in the U18 Catalan Championship. At senior level, Miriam Forasté played with Sarrià the Copa Catalunya 2009/10 and she won the Regular season and promoted to Liga Femenina 2. In the 2010 summer, Miriam Forasté won the Silver Medal with the Spanish National Team in the U20 European Championship played in Latvia. Miriam Forasté had her debut in Liga Femenina 2 during the 2010/11 season and playing with Sarrià she averaged 11 points, 5.3 rebounds and +13.2 efficiency in 24 minutes per game, shining against Uni CajaCanarias (19 points 5 rebounds), Ibaizábal (14 points 9 rebounds +23 efficiency) and Stadium Casablanca (19 points 8 rebounds +23 efficiency). In the 2011 summer, Míriam Forasté won the Gold Medal in the U20 European Championship played in Serbia. Miriam Forasté signed with Ros Casares during the 2011/12 season and she won the Euroleague and the Liga Femenina, playing for probably the best roster ever assembled in Europe. In the 2012/13 season, Miriam Forasté signed in Liga Femenina 2 with Universidad del País Vasco and she averaged 14.5 points, 7.4 rebounds and +18 efficiency per game during the regular season and 15 points, 5.2 rebounds and +18 efficiency in the Playoffs, promoting with her team to Liga Femenina. Miriam Forasté re-signed with UPV during the 2013/14 season and she averaged 12.2 points, 5.7 rebounds and +12.8 efficiency per game with 49% from the filed in Liga Femenina, shining against Perfumerías Avenida (23 points +24 efficiency) and Rivas Ecópolis (21 points 9 rebounds +24 efficiency). Miriam Forasté extended her contract with IDK Gipuzkoa during the 2014/15 season and she averaged 10.8 points, 4.6 rebounds and +12.6 efficiency per game, having great games against Mann Filter (20 points 9 rebounds +32 efficiency), Girona (18 points +22 efficiency) and Cadí La Seu (24 points 6 rebounds +20 efficiency). In the 2015/16 season, Miriam Forasté player her last year with IDK Gipuzkoa and she averaged 3.3 points, 1.1 rebounds and +3.4 efficiency in 11 minutes per game, performing well against Cadí La Seu (11 points +17 efficiency), Uni Girona (10 points in 15 minutes) and Zamarat (9 points in 15 minutes). Miriam Forasté signed with Al-Qázeres in the 2016/17 season and she averaged 6.8 points, 3.3 rebounds and +7.4 efficiency in 20 minuts per game, shining against Cadí La Seu (18 points +29 efficiency) and CREF (23 points +26 efficiency). Miriam Forasté re-signed with Al-Qázeres in the 2017/18 season and she averaged 6.5 points, 2.9 rebounds and +7.2 efficiency in 21 minutes per game, shining against Sant Adrià (21 points 7 rebounds) and Girona (13 points 5 rebounds +21 efficiency). 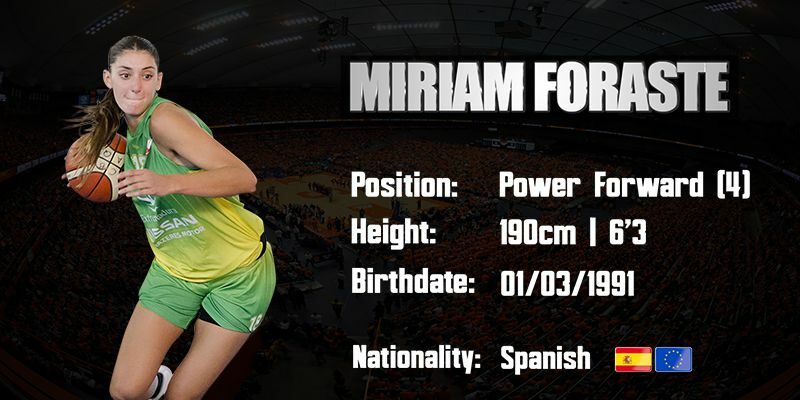 Miriam Forasté is a 1.90m Spanish power forward born in 1991 who won the Euroleague and the Spanish Liga Femenina with Ros Casares in the 2011/12 season and the Silver Medal and the Gold Medal in the U20 European Championships in 2010 and 2011. 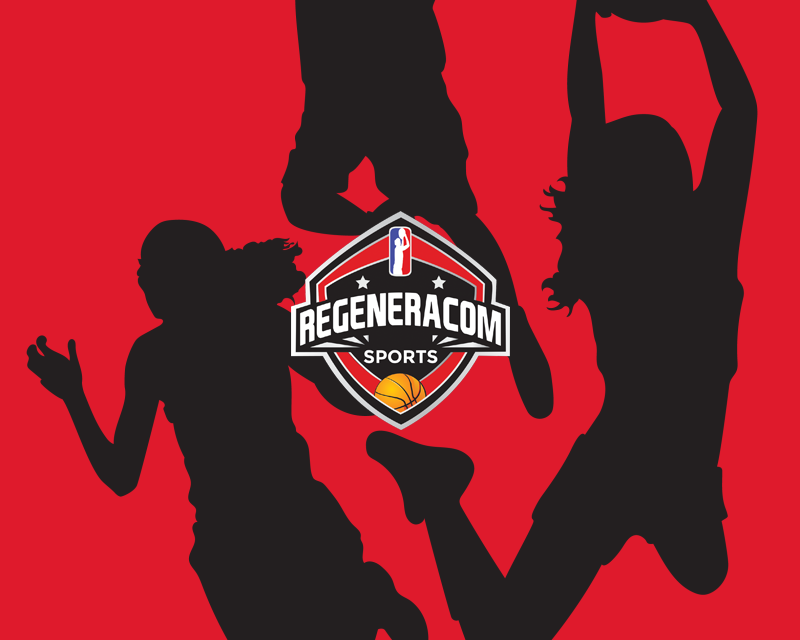 Miriam Forasté is a versatile and athletic player who runs the floor very well, plays excellent off the ball and who can score driving to the basket and with her good mid range shot.